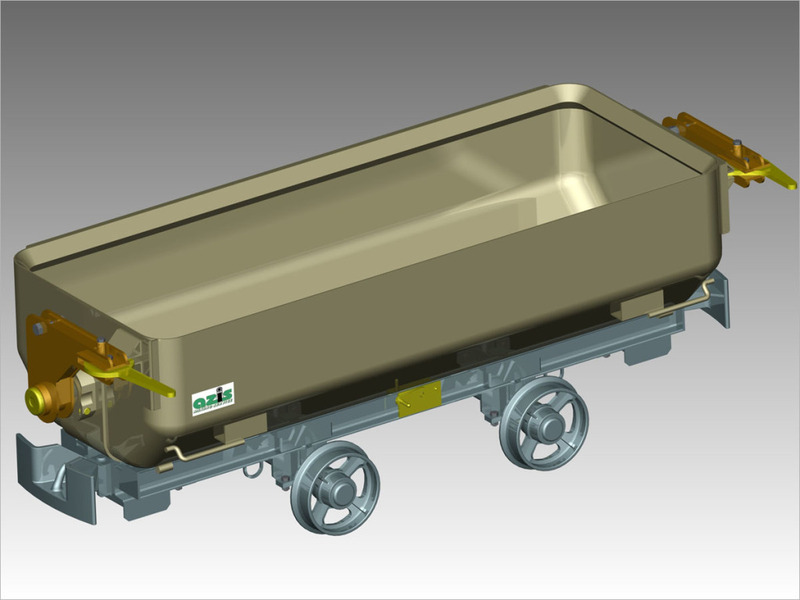 Containerisation of materials and winning transport - AZIS Mining Service Sp. z o.o. 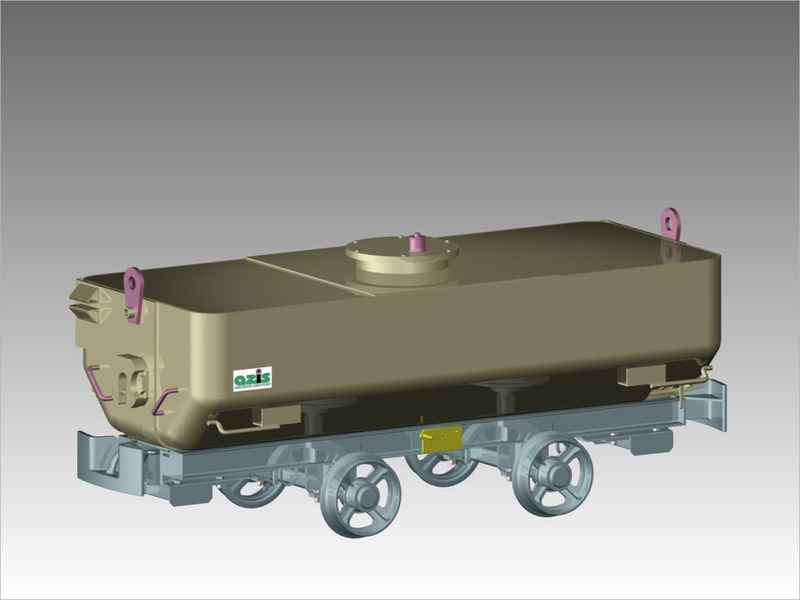 Transport system of materials with "AZIS Mining Service" Sp. z o.o. material and winning containers and containers for arch lining transport enables easy transfer of materials by various means of transport without the need for unloading. 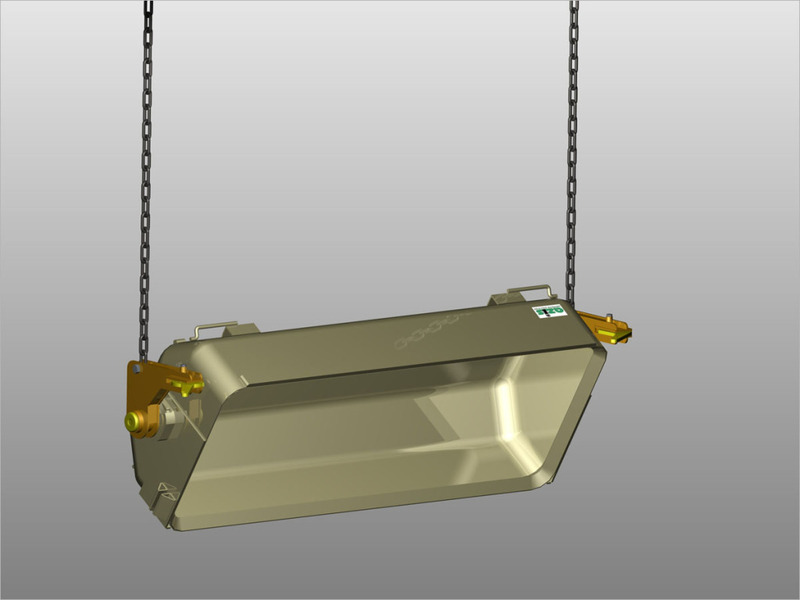 The containers are adapted to work with wheeled platforms. 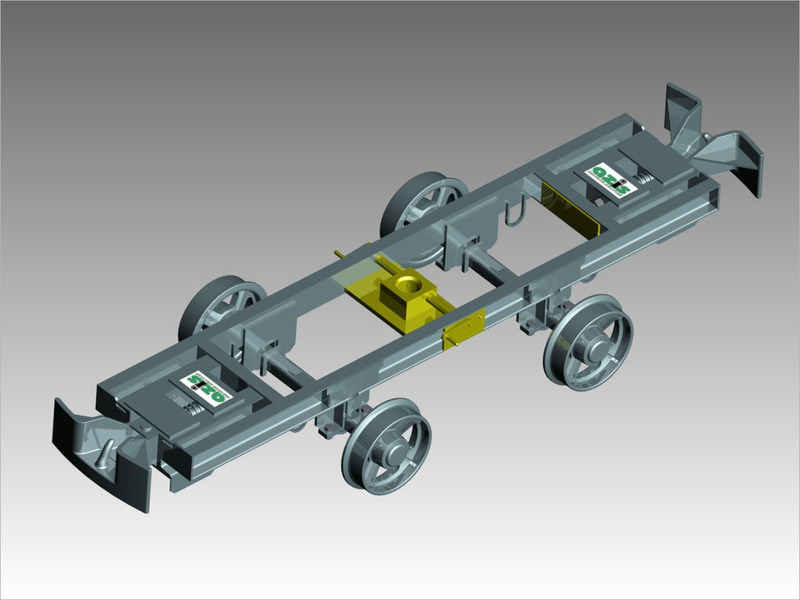 The platform with a material and winning container and a container for arch lining transport can move on tracks in horizontal workings. They can be also moved by cranes, forklifts and other means of transport on the surface. They are reusable. 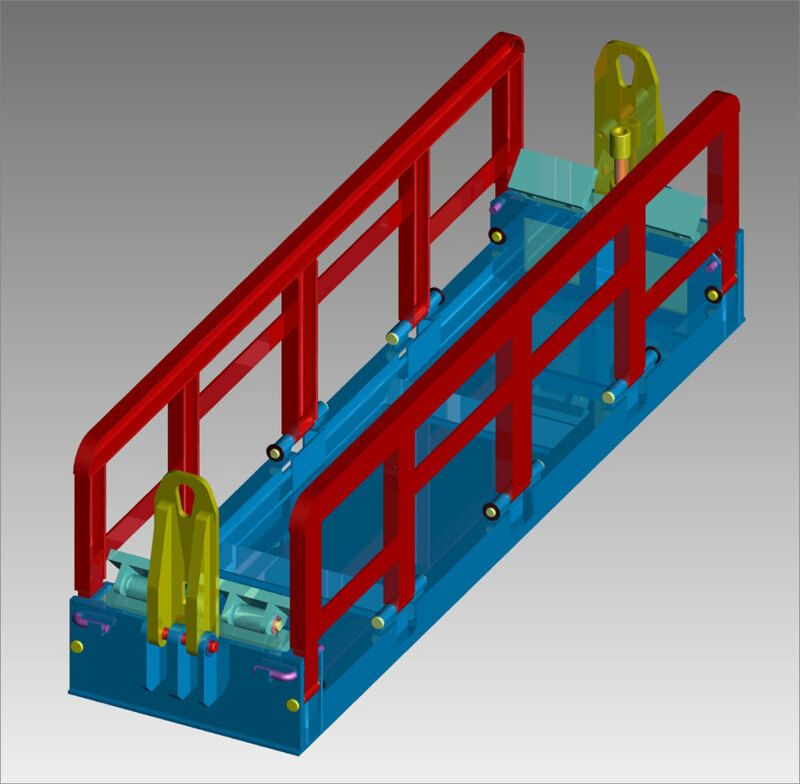 The platforms can be used in underground workings of coal mines, in methane and non-methane fields, in workings of levels ‘a’, ‘b’ or ‘c’ methane explosion hazard and in workings of class A or B coal dust explosion hazard . Material and winning containers are designed mainly for haulage of winning from dog headings, supply of input materials to headings driven, haulage of winning from flooring of headings and for supply of materials to coalfaces. The transport of containers can be done by means of suspended monorails or on wheeled platforms. The platforms can be used in underground workings of coal mines, in methane and non-methane fields, in workings of levels ‘a’, ‘b’ or ‘c’ methane explosion hazard and in workings of class A or B coal dust explosion hazard. 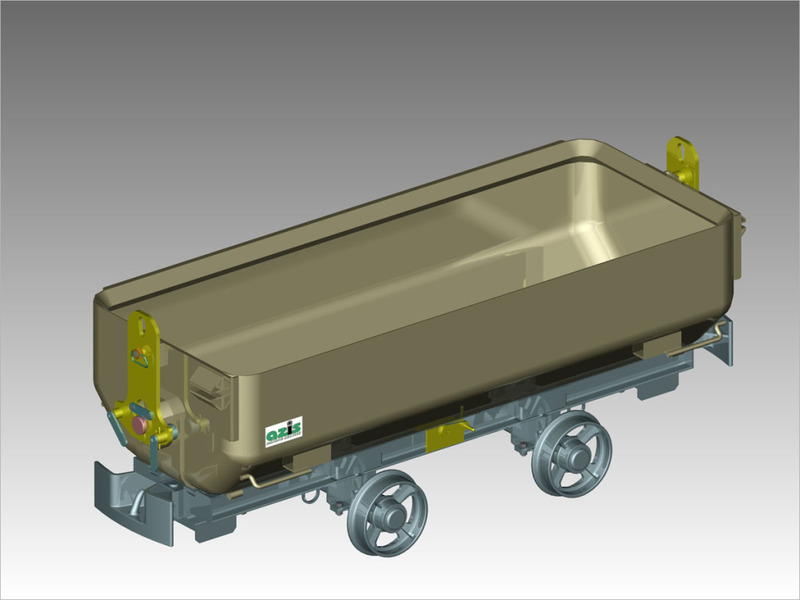 Steel containers for a heading (arch) lining are designed for the transport of arch elements loaded in a storerooms or at stacking yards directly to mine faces in progress, or other areas of the coal mine, where mining work is carried out, e.g. relining of headings, reinforcing of a final lining, etc. 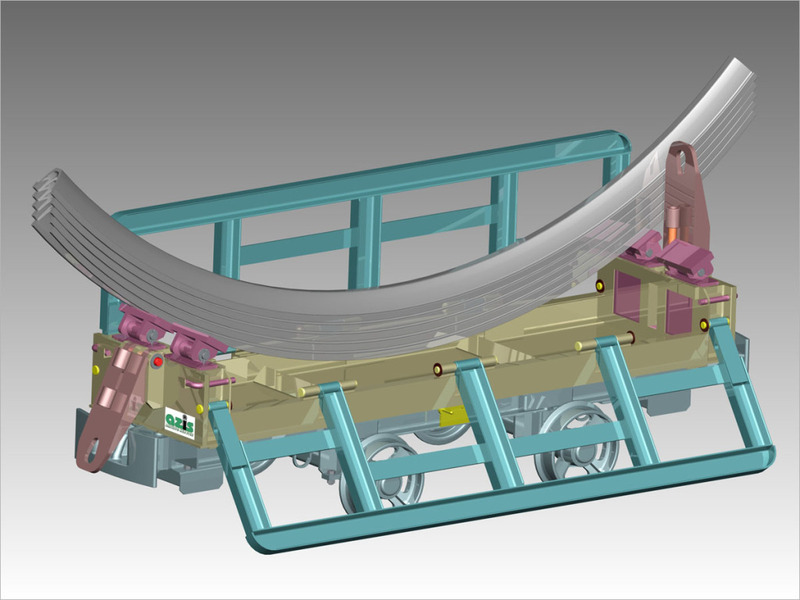 Containers are transported underground from the surface on tracks for wheeled transport of inclination up to 40, or by means of suspended monorails for inclinations up to 250. The platforms can be used in underground workings of coal mines, in methane and non-methane fields, in workings of levels ‘a’, ‘b’ or ‘c’ methane explosion hazard and in workings of class A or B coal dust explosion hazard .